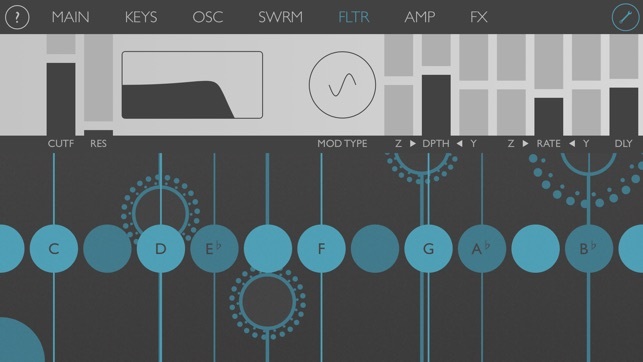 Ribbons is an extraordinarily fun and expressive musical instrument. Inspired by early electronic instruments such as the Ondes Martenot and the Theremin, Ribbons (formerly "Ondes") emulates the fluid playing style of those classic instruments with an interface and synthesis engine firmly grounded in the present day. Whether you’re gliding through melodies & chord changes or creating dense polyphonic sci-fi soundscapes, Ribbons is an instrument unlike any you’ve played before. Recommended for use with headphones or external speakers. 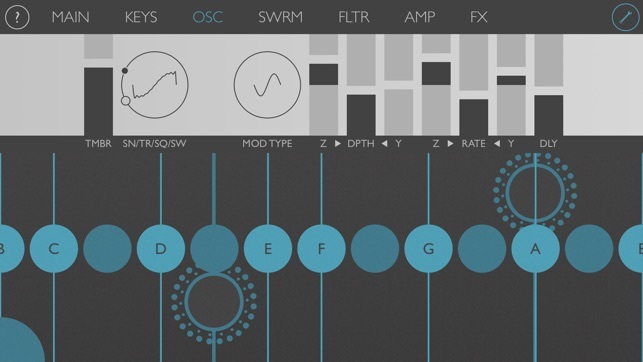 Ribbons is made by Olympia Noise Co., developer of Patterning and Chordion. Slide freely between notes, Ribbons doesn’t limit you to the keys on a keyboard. Use 3D Touch on supported devices to control synthesis parameters. Adjustable note snapping for ultimate flexibility in playing style and ease of use. Use the hold function to sustain notes while you take an epic solo on top. Vertical movement can be mapped to volume and synthesizer parameters, adding dynamic possibilities to your music. More polyphony than you have fingers! Adjustable keyboard range and size. Guidelines help you play in key. Choose from common scale types in any key or create your own. 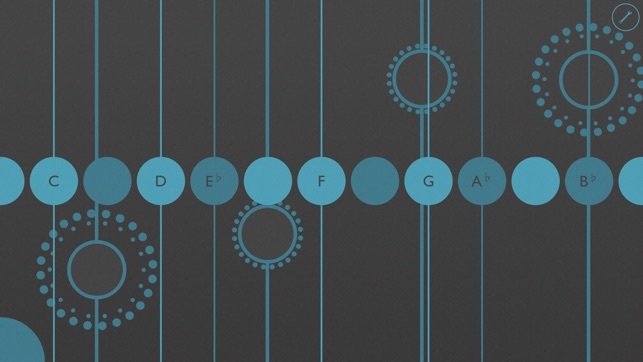 Alternate tuning systems let you explore the world of microtonal sound! Morphing wavetable oscillator with five wavetable sets. Swarm oscillators! Two extra oscillators can be detuned and lag behind to create new textures. Wavetable modulation sources include Y-Axis, sine wave, noise, circle, and ADSR envelope. Filter modulation sources include ADSR envelope, sine wave, and Y-axis. Amplifier section with master volume, Y-axis control, and ADSR envelope. Y-axis can be mapped to control the rate and depth of wavetable and filter LFOs. Large selection of reverb types with adjustable amount. Delay effect adjustable level, feedback, time and filter. Use Ribbons as a MIDI controller to control your favorite software and hardware synths. Now supports MIDI Polyphonic Expression (MPE) output or use "classic mode" to manually managed MIDI ports. Map each touch to a unique MIDI Port/ Channel for polyphonic pitch bend. Because of Ribbons' unique pitch bend capabilities, it isn’t like other controllers, so make sure to read the instructions to learn about how to get the best results. Record directly to Garageband and other audio apps on your iPad using Inter-App Audio or Audiobus. 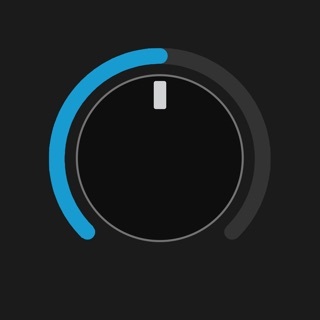 Built-in Inter-App Audio transport allows you to control a host app’s play, record, and rewind buttons. Visualization of synthesis parameters makes for fun and intuitive editing of parameters. Clutter free screen lets you focus on making music. Built-in Manual makes it easy to dig in and learn about Ribbons’ features. 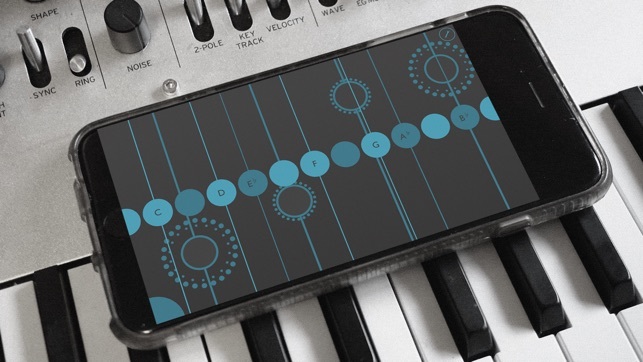 Use Ribbons on your iPhone and explore 3D Touch to control synthesis parameters. Ribbons also now supports MIDI Polyphonic Expression (MPE) output. 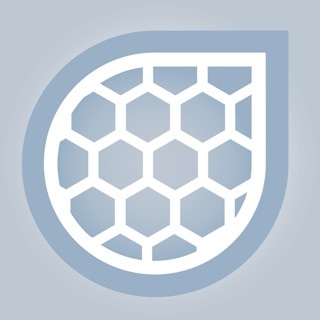 Help us improve the app by reporting bugs to support@olympianoiseco.com. Now my go-to expressive lead app. This is the control I've been waiting for. I'd like to see a stack of 1-3 vertical sliders on your choice of left or right, color settings, and the ability to assign anything to a slider or Y. A second keyboard above with it's own settings incl. height and pitch offset would be great too. My only complaint is that notes begin on standard pitches even with 0 snap set. Even better than the positive/neg slider would be separate pos/neg amt-amt sliders each with their own y-axis center, or just freehand a vertical levels wave for each parameter. This would truly single out Ribbons as the most expressive live controller possible (unless you want to add four y-level assignments, for each ADSR phase). That would be the ultimate control this app is heading towards. Public domain KRPM. Cool app with nice features, definitely recommend to check out ! ...like my own little Ondes Martenot, but on my iPad Pro. Fun to just mess around with, or go deep and record with.